Škoda has taken off the wraps from its forthcoming Kamiq urban crossover, which joins the larger Karoq and Kodiaq in the brand’s SUV line-up. Debuting next week at the Geneva Motor Show and bringing a rival to the Nissan Juke, the Kamiq draws on the Vision X concept shown at last year’s Geneva Motor Show as well as the existing Karoq and Kodiaq SUVs. 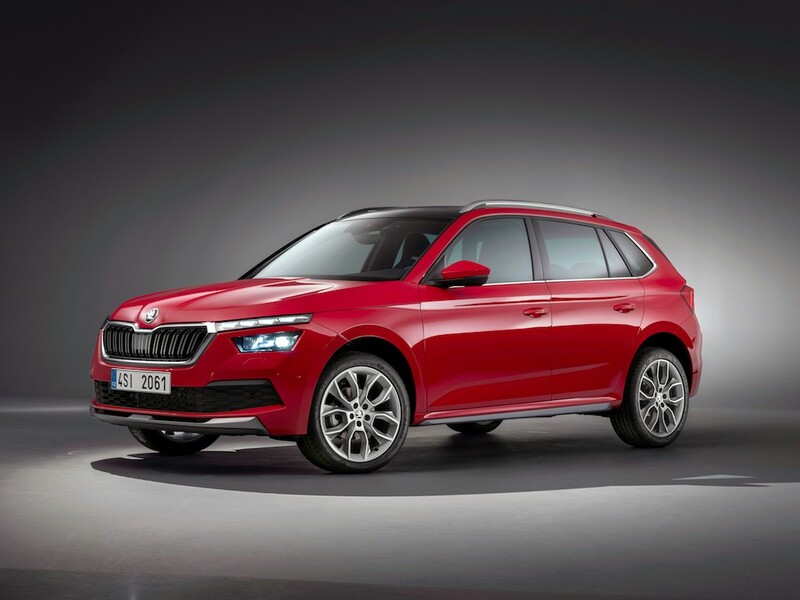 It also debuts new Škoda features such as a two-part LED headlamp design and front and rear dynamic indicators, and becomes the first SUV to use the Škoda lettering instead of the logo on the tailgate – as already seen on the Scala. It will be based on Volkswagen Group’s modular MQB vehicle architecture that underpins models ranging from the Polo to the T-Cross and Seat Arona, and measures 4,241mm long – 106mm longer than the Juke, with a 2,651mm wheelbase that’s 121mm longer than the Juke. Boot space is 400 litres, rising to 1,395 litres when the rear seats are folded down. As an optional extra, the front passenger’s seat back can also be folded down, allowing longer items up to 2,447mm to be transported and an electric tailgate is also available. The Kamiq will be solely offered with front-wheel drive and comes with a choice of four engines, all of which are direct-injection units with turbochargers and come with brake energy recovery as well as Stop/Start technology and meet the Euro 6d‑TEMP emissions standard. The line-up includes a four-cylinder 1.6 TDI diesel engine delivering 115hp. It’s fitted with an SCR catalytic converter with AdBlue injection and a diesel particulate filter as standard. It comes with a six-speed manual gearbox as standard; a seven-speed DSG is available as an option. The petrol engine range includes two 1.0-litre TSI engines providing 95hp and 115hp. The former features a manual five-speed gearbox while the 115hp comes with a six-speed gearbox as standard, but can be fitted with a seven-speed DSG. The range-topping engine is the four-cylinder 1.5 TSI with 150hp and Active Cylinder Technology (ACT); this unit comes with either a seven-speed DSG or a manual six-speed gearbox. All three petrol engines are equipped with a petrol particulate filter. Drivers can also choose an optional sporty chassis that’s 10mm lower and, in addition to the Normal mode, also has a Sport mode with shock absorbers that feature adjustable valves. Underbody protection is available as an optional extra. Onboard equipment includes a 9.2-inch free-standing infotainment screen and an optional 10.25-inch virtual cockpit. There’s also a choice of three infotainment systems. The Kamiq also comes with Škoda’s signature Simply Clever features, including door-edge protection that deploys automatically when the doors are opened and an LED torch in the boot. It also features an array of assistance systems. Front Assist, which includes City Emergency Brake and Predictive Pedestrian Protection, and Lane Assist as standard. Optional systems include a rear view camera, Park Assist, Side Assist, a Driver Alert fatigue detection system and Adaptive Cruise Control, which can brake to a complete stop and pull away again.